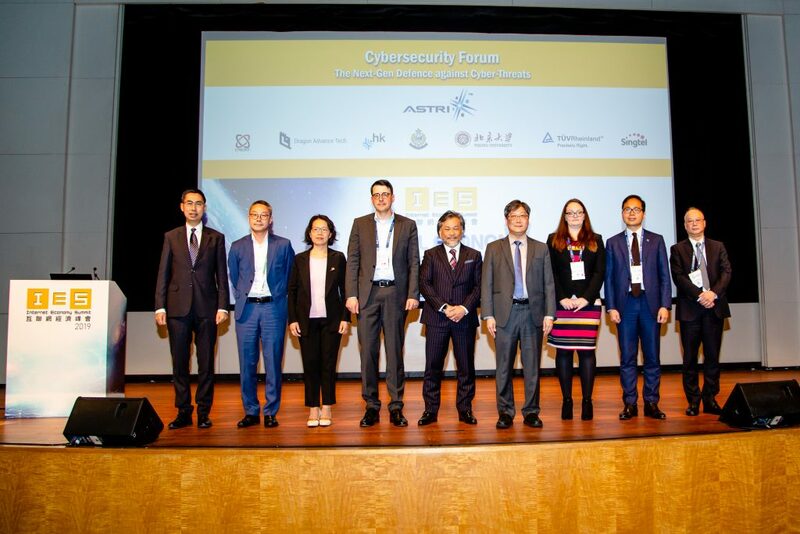 [Hong Kong, 28 Jun 2017] Hong Kong Applied Science and Technology Research Institute (ASTRI) is showcasing its latest next generation network technologies, that leverage value-added 4G platform to advance 5G, at the Mobile World Congress (MWC) Shanghai 2017 in China. 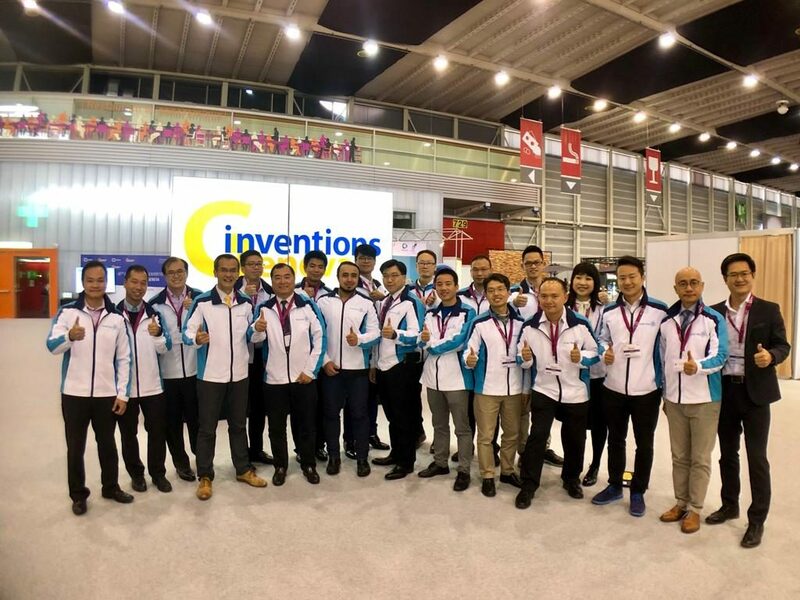 ASTRI’s advanced solutions drive technological breakthroughs in 4.5G and 5G technologies, and significantly improve the coverage, capacity, efficiency, and reliability of telecommunications infrastructure. These technologies, including the following ones, facilitate the deployment of innovative ideas and solutions towards smart city development. ASTRI is a pioneer in network function virtualisation (NFV) especially on virtualised core network. 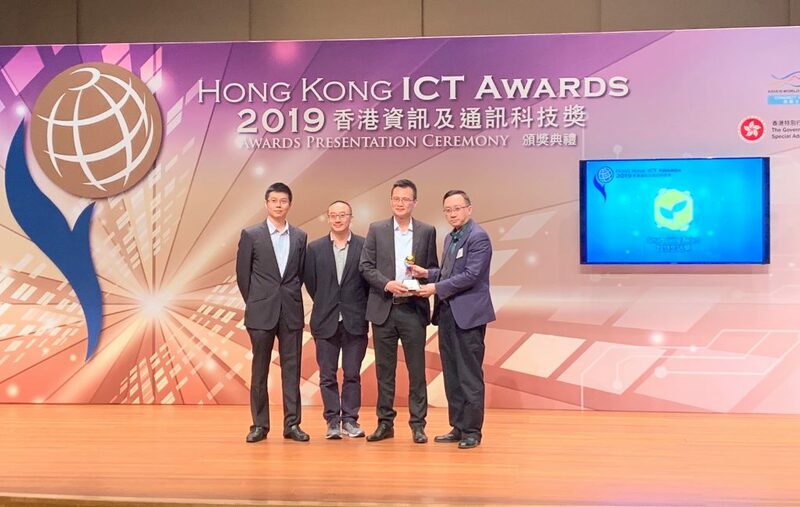 Leveraging its extensive experience in NFV architecture and performance tuning, ASTRI is introducing the 3-in-1 turnkey NFV solution to significantly reduce the time and complexity of integrating, deploying and optimising virtualised network solutions. The 3-in-1 solution consists of (1) FastCloud virtual platform: a NFV platform which is easy and flexible to deploy with high throughput and Software-defined networking (SDN) capabilities; (2) FastCloud orchestrator; and (3) virtualised core network and IPSec security gateway: providing 10Gbps IPSec throughput with minimal CPU cores. Mobile Edge Computing (MEC) is a network architecture concept that enables cloud computing capabilities and an IT service environment at the edge of the cellular network. Through the MEC platform, the end user can directly access to the data from the base stations without waiting for the response from remote server, thereby, network congestion can be reduced. On the other hand, the remote server does not need to respond to the user devices directly. The remote server manages a small volume of processed network data, therefore, reducing the traffic flow of the core network. This demonstration showcases ASTRI’s (1) advanced Transmission Control Protocol (TCP) acceleration technology and (2) transparent network-deployment mode function. The software based TCP acceleration at mobile edge enhances the throughput of TCP applications over high latency links (e.g. satellite link, terrestrial radio link, etc.) with improved service quality and user experience. The transparent network-deployment mode function is related to MEC deployments – making it completely transparent to the 3GPP Network, and removing the need for network reconfigurations while deploying an MEC into a live network. The demonstration features a prototype of an IoV management system for road safety. Built on a virtualised MEC platform, the IoV management system enables low-latency monitoring, as well as emergency and early warning capabilities for vehicles near the network edge. Together with advanced IoV technologies, including Vehicle-to-Everything (V2X), LTE, MEC and next generation networks, several out-of-sight emergency cases can be detected, leading to warnings for brakes, blind intersections, ‘do-not-pass’, and vulnerable pedestrians. This smart city IoV platform makes it possible to rollout road safety and intelligent transportation systems throughout the city. 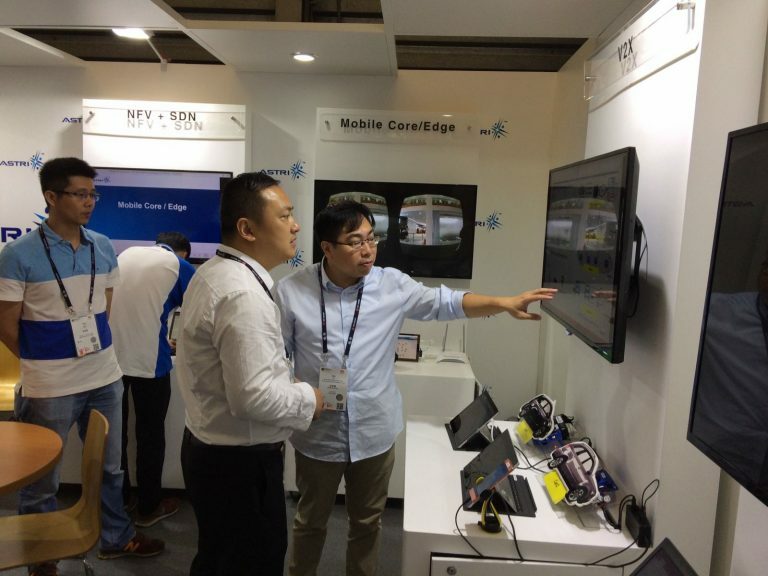 This end-to-end VR video live streaming demonstration was done through an LTE transmission, using the overall system developed by ASTRI including LTE base station, mobile core network (EPC), MEC platform and VR video streaming process/head-mounted display. The VR video input signal is processed at the MEC platform and transmitted to a wireless head-mounted VR display. The MEC platform can offload data traffic and process at the network edge cloud, thereby, optimising traffic latency and improving user experience during the VR video live streaming. ASTRI’s C-RAN reference enables the design of next generation base-stations with high flexibility to support both 4G and 5G. The demonstration shows a Baseband Unit (BBU) pool design with a cost effective functional split to support a large coverage, where the L3 and Packet Data Convergence Protocol (PDCP) are centralised with distributed Radio Remote Units (RRUs) for MAC and PHY processing. The architecture of BBU pool design is flexible enough to be extended for centralised MAC and PHY processing to support coordinated joint transmission and joint reception (JT/JR), with enhanced spatial efficiency. ASTRI’s BBU pool design can be scaled to support 3GPP release 15 NR specifications including digital beamforming, beam management, flexible frame structure and subcarrier spacing for high data rate, ultra-reliable and low latency applications. ASTRI’s commercial LTE base-station reference design complies with the Broadband Trunking Communication (B-TrunC) international standard. The demonstration illustrates an end-to-end B-TrunC system performance in real-time bi-directional data streaming and broadband trunking services on multiple trunking mobile terminals. The trunking management system manages its core network and the base-station based on ASTRI’s reference design. It also allows different trunking services for critical communications such as Voice/Video Group Call, Dynamic Regrouping, Emergency Call, and Broadcasting Message Service. Our reference design supports high group call capacity (> 7.5 groups of voice calls per cell/MHz), low end-to-end latency (< 200ms), flexible deployment bandwidth and high reliability for private networks. 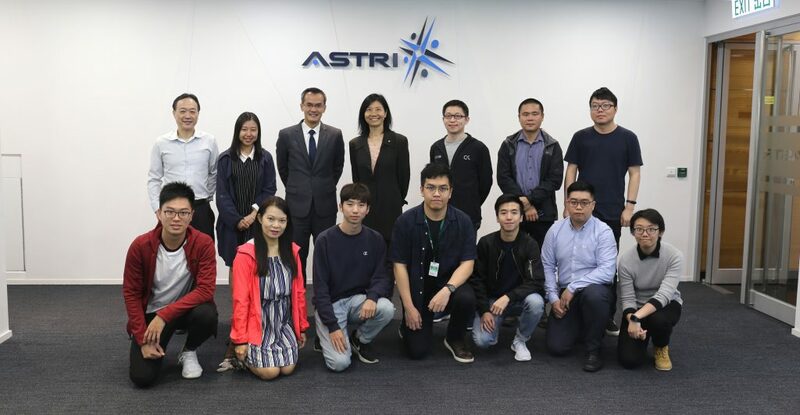 ASTRI is one of the pioneers in Narrowband IoT (NB-IoT) standardisation and development. ASTRI’s NB-IoT IP and reference design are used in various equipments including RF transceiver, integrated power amplifier and switch, integrated power management unit, digital baseband and System-on-Chip (SoC). A part of the global 3GPP Release 13 standard, NB-IoT is optimised for Low Power Wide Area (LPWA) applications, focusing on enhanced coverage, low cost, long battery life and massive deployment. It also allows numerous new IoT devices and services to be operational. ASTRI’s Bluetooth Low Energy (BLE) solutions – versions 4.2 and 5 – is a key enabler of short range wireless IoT applications and wearable electronics. The BLE demonstration collects and processes sensor data from ASTRI’s BLE 4.2 SoC, and feedbacks data to the user in Android application. BLE 5 quadruples the range, doubles the speed and increases data broadcasting capacity by 800%. BLE 5 RF transceiver IP is already available in ASTRI, and the baseband portion is under development right now. The demonstrations take place at ASTRI’s booth (W5.H38) at the MWC Shanghai 2017 in China, being held at the Shanghai New International Exhibition Centre (SNIEC) from 28 June to 1 July 2017. ASTRI’s technology expert (right) introduces the prototype of an IoV management system for road safety to the visitor.